Sikka Art Fair, featuring the culture, heritage, arts and literature sectors of Dubai with a rich series of new initiatives and partnerships, opened today (March 17) to run until March 26 in the Emirate. 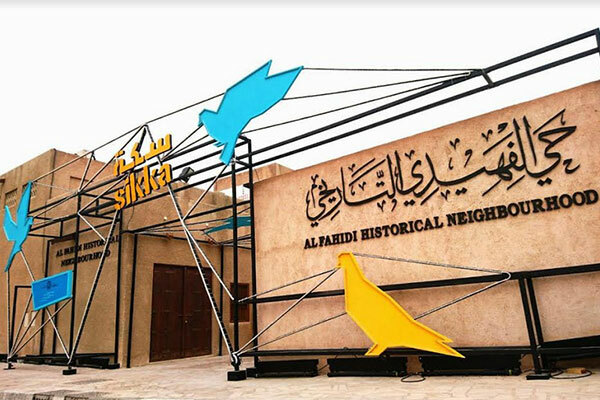 The eighth edition of the event was inaugurated by Sheikha Latifa bint Mohammed bin Rashid Al Maktoum, vice chairman of Dubai Culture & Arts Authority (Dubai Culture), the Emirate’s dedicated entity for culture, arts and heritage at Al Fahidi Historical Neighbourhood. “Sikka—Dubai Art Season’s flagship initiative—is the largest contemporary artist-led fair in the region to commission new works from UAE based and GCC talents. Growing every year in size and perception, the fair is a pivotal moment in our efforts to nurture future generations of creative professionals, inspiring them to look at alternative career paths within the arts and culture industries, while building our creative economy. “Such moments are crucial in feeding into the realisation of Vision 2021 set by HH Sheikh Mohammed bin Rashid Al Maktoum, Vice President and Prime Minister of the UAE and Ruler of Dubai. I look forward to what Dubai’s most unique celebration of art will bring to its audiences this year,” she added. Sikka Art Fair 2018 will serve as a platform to showcase the importance of Islamic Art and Culture in establishing Dubai as the capital of the Islamic Economy, with the House of Islamic Arts featuring an Islamic Art and Culture exhibition, live painting sessions, an Islamic lifestyle start-up corner, and hands-on Islamic Art and Culture workshops. The Saudi House by Culture-Focused Tamashee will also draw attention to the region’s rich culture by hosting a variety of exhibitions and activities under one roof, including a collaborative initiative for emerging artists and an exhibition of the work of more than 20 Saudi artists. Encompassing all artistic mediums, Sikka Art Fair 2018 will also feature various installations created in The Poetryhood by Dubai Poetics, a movement that publishes, performs, discusses, enhances and revives poetry in the region, and LOCO’MOTION Dubai, a cinema initiative that will present a full line-up of shorts, documentaries and feature films in several languages including English and Arabic, and also screen shorts by independent UAE filmmakers and university students on some days. At the Icon Booth by Marta Lamovsek, visitors can embark on a fun D.I.Y. experience where the artist chooses a unique style for them, from a mix of handpicked MENA accessories and props, Lamovsek crafts ‘characters’ inspired by the personality of each individual she meets. Sikka Art Fair 2018 will also include several community initiatives that encourage proactive participation among visitors. Sandscapes, by Mawaheb from Beautiful People, a confluence of art and music led by community participation, will call on the public to help create an all-inclusive environment for artists with special needs. At the 'The Samsung Frame & Creatopia Art Gallery’, visitors can view Creatopia digital art displayed on ‘The Frame’ TV screens, which were designed by Samsung to seamlessly bringing art into people’s everyday lives by ingeniously doubling as digital displays for photographs and works of art. Creatopia is an exclusive Dubai Culture-created platform that pioneers a new perspective for art and tech, and also provides online accessibility to expert curation for inspiring talents across the globe. Through its partnership with Samsung, Creatopia is encouraging and engaging global talents at Sikka 2018. Sikka Art Fair visitors will also be offered the opportunity to win ‘The Frame’ by entering a social media photo competition. In partnership with the Emirate’s Youth Council, Sikka Art Fair will feature a Youth Circle for the first time in Sikka, aiming to educate and empower youth to become the main drivers of the creative economy, and encourage them to develop new policies for the arts and culture sectors. In addition, Youth Hub Workshop will take place as part of the official Sikka programme and will be led by Mohammed Kazim, co-founder of culture-focused Tamashee, focusing on ‘The Contemporary Definition of Design Identity in the Region – The Youth as Pioneers’, on 18th March at the Youth Hub on Emirates Towers.